I am back to share with you my submission to the current CAS-ual Friday Challenge. This time it is creating a clean and simple card using scallops!! Easy - Peazy!! For my card, I envisioned nothing but color!!! I also wanted to use my newest Paper Smooches stamp set!! 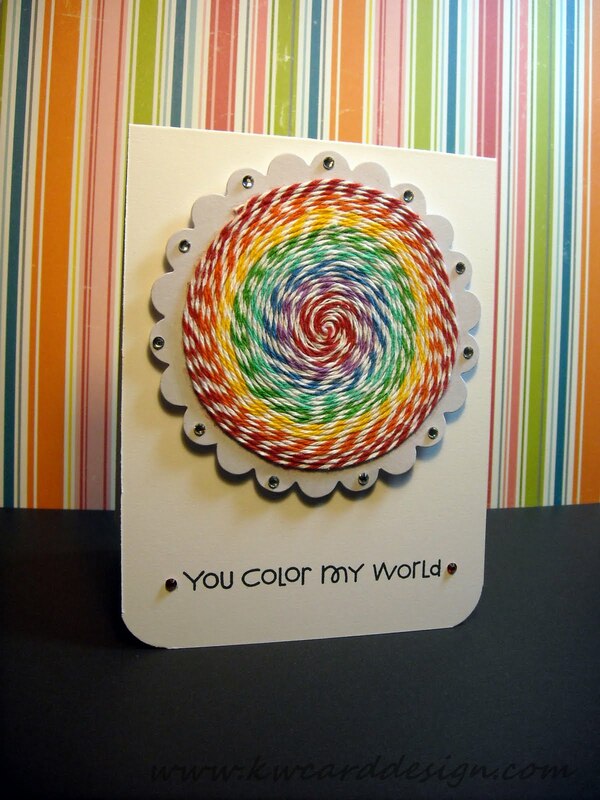 I thought what a better and simple way to create my card is use a big scalloped circle and add lots of color!!!! Hope everyone is enjoying their weekend!! Mine so far as been pretty "Cas-ual". HAHA. Thanks for stopping in!!! See ya next time!! daaaaayummmm this is a stunner for sure! This is fabulous - lovely spirals of colour in the scalloped circles. Sweet sentiment - perfect! Absolutely positively fabulous!!! So glad you joined the scallop fun at CAS-ual Fridays! This is fun with a capital F - super cute and clever!! Thanks so much for playing with us at CAS-ual Fridays! !